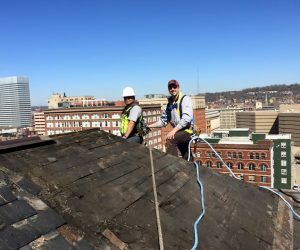 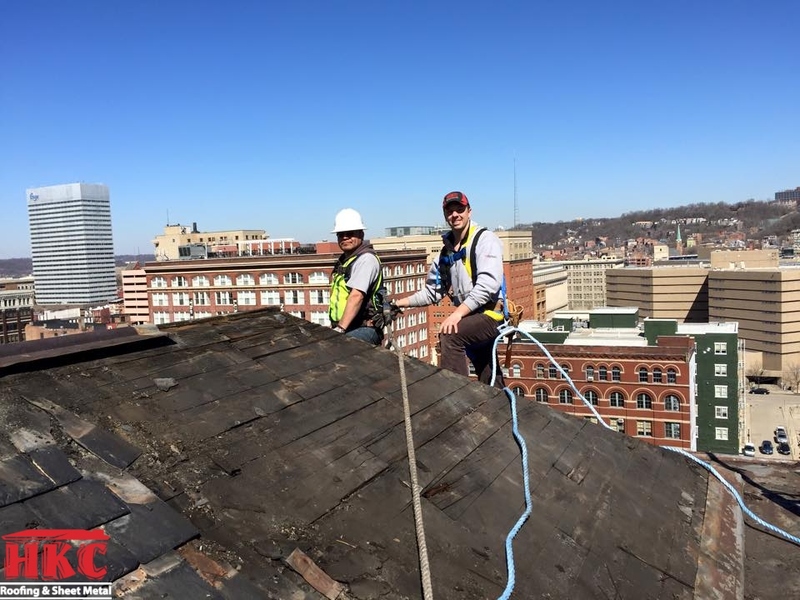 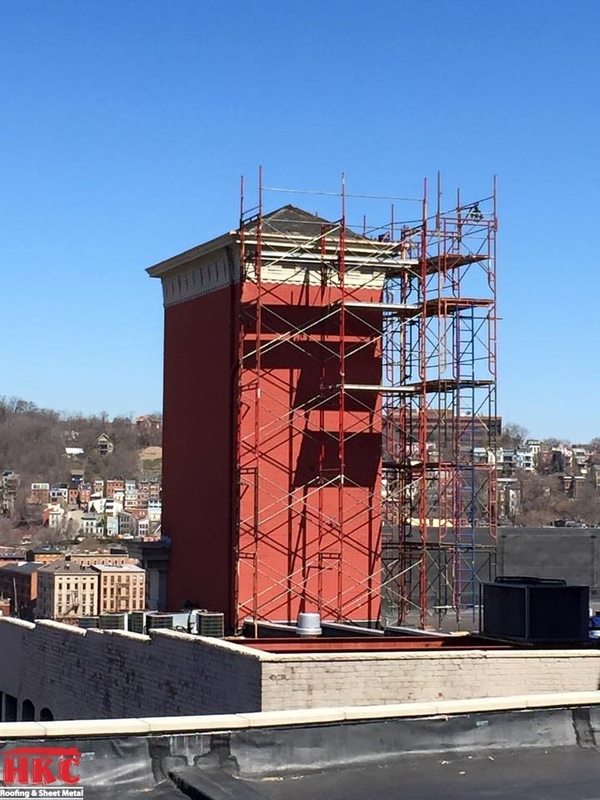 We’re getting busy restoring this tower in downtown Cincinnati. 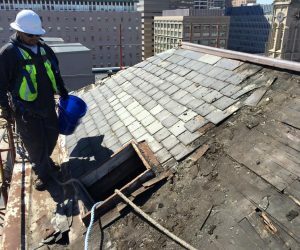 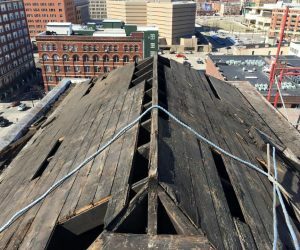 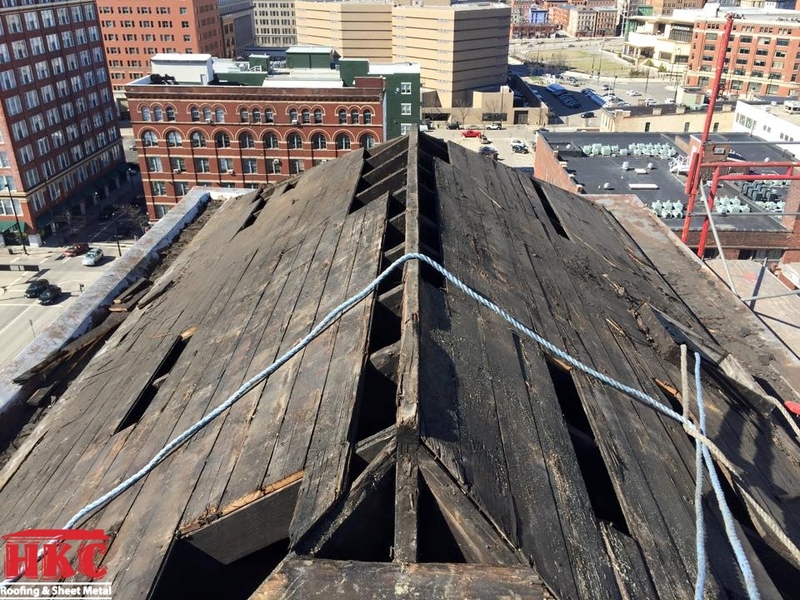 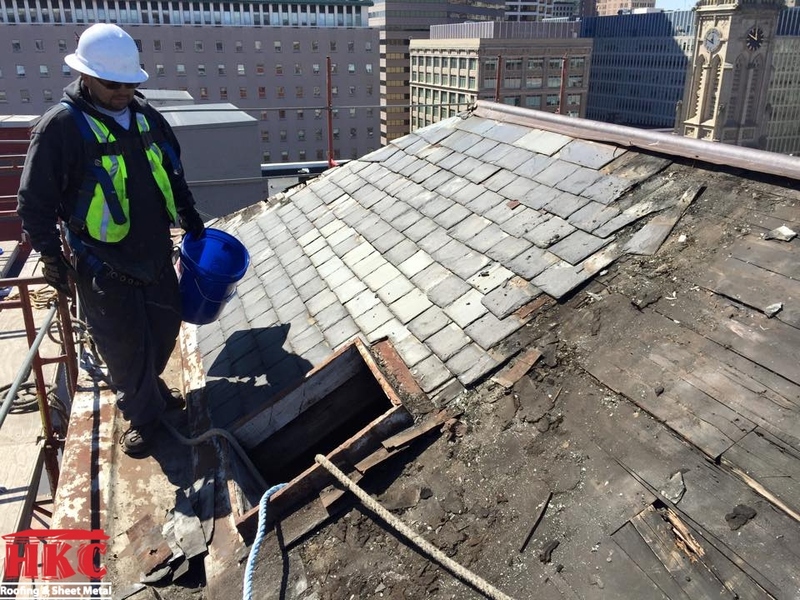 We are removing and salvaging the existing 100 year old Peach Bottom slate roof (to be used on another project). 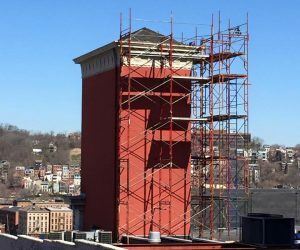 This tower is a staggered 150′ feet from the busy streets below. 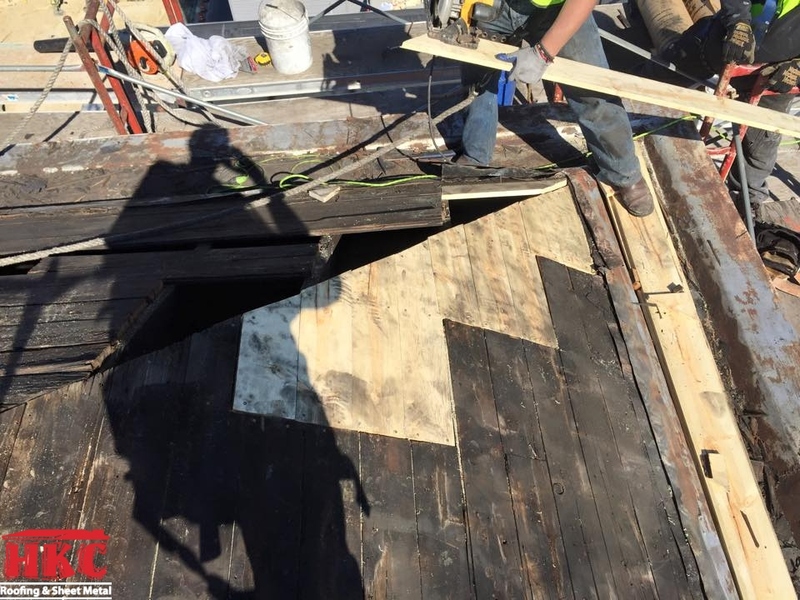 It will get all new copper box gutters and a new purple and green slate roof. 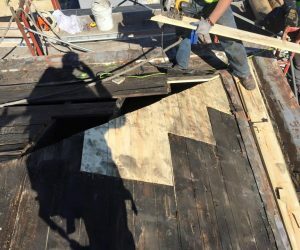 We’ll upload more pictures when we’re all done!